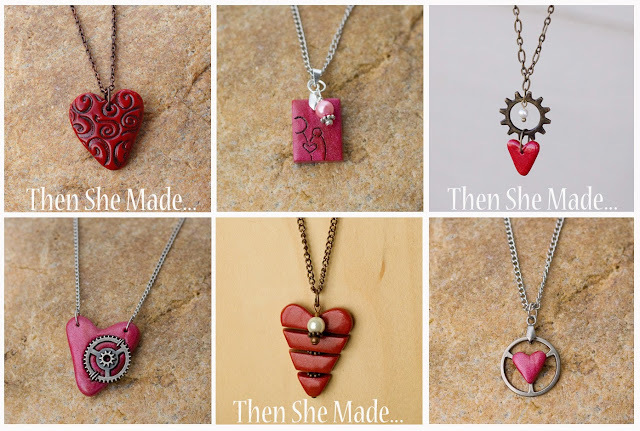 Then she made...: The Love Season is Here - DIY Heart Necklaces! 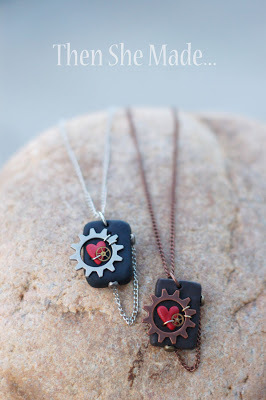 The Love Season is Here - DIY Heart Necklaces! 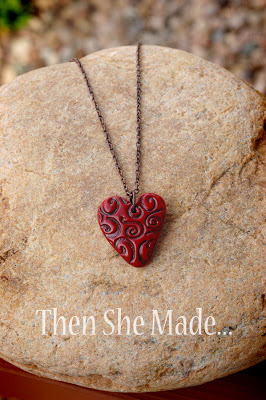 With February already here - well, I guess it's not really here, still a day away - I've been getting some emails and questions about my heart necklaces. I normally create a new design each year and good news, I've got one in the works. However, until I'm ready to share that tutorial, I'm re-posting some info on necklaces from years past. I've had a couple of emails from people finding the picture of the necklace on Pinterest but then couldn't find the tutorial to make it - to make it easier for you, I've included the link below for you. These necklaces can be pulled together pretty easily and without much expense. Plus, you can get the kiddos involved. My girls are getting too old for craft-dates with friends (I know, it's sad) but when they were a little younger, we invited a bunch of their friends over and we made these. They were a hit! And, here are a few other necklaces I've made over the years. I don't have tutorials but if you are visual person, you can probably figure them out. You just need some Sculpey clay and jewelry supplies. 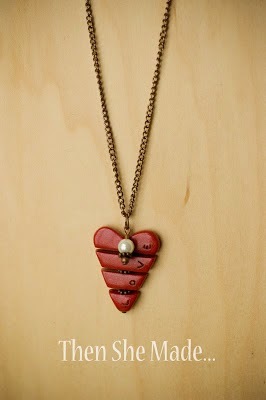 The Necklace in the top left corner is probably the least expensive and simplest to make. Here are some visuals on how to make the heart. It's just a heart shaped out of clay and then carefully stamped with a texture pad. And, once the heart is made, you just need to poke a hole in it and bake it. Then add paint and glaze. Here it is a little bigger and with more of the chain showing.